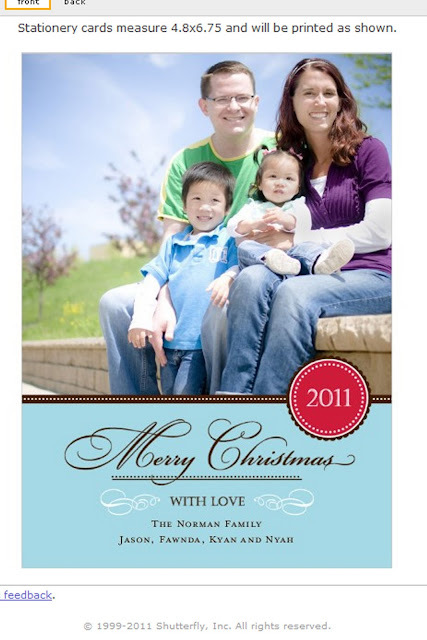 Fireflies and Jellybeans: Christmas Cards with Shutterfly... Giveaway!! One of my favorite parts of Christmas is getting photo cards of my family and friends! I love to hang them all up and see how much everyone has changed... to see kids and families grow. I use these pictures to hang on my refrigerator all year though, and trade them out the next Christmas! One of my favorite photo sites to get Christmas Cards is Shutterfly. They have SEVERAL cards to choose from to fit most price ranges. You will be sure to find one that fits your family's style! In Fact, I found 4 cards that I love without really trying... and now I cannot decide which one is the best one to send out! All of the chooses I picked are because they have such a whimsical feel to them... which is what I LOVE about Christmas... it is full of whimsy and magic! These cards will be going out to all our friends and family and I want them to feel the JOY of Christmas when they look at our card! 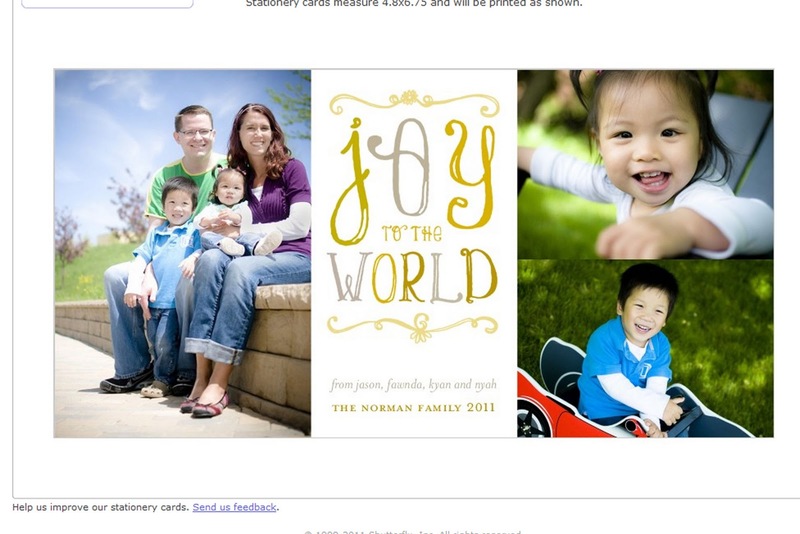 Shutterfly makes it really easy to personalize you cards with your own family photos. While you are ordering your cards you should check out their Photo Gifts and Photo Calenders... they would make great gifts for grandparents! You know that grandparents can never have too many pictures of their grand kids! Shutterfly is giving away 25 cards FREE to 2 lucky F&J Followers! You MUST be an F&J follower to enter... Go check out the Christmas Photo Cards and come back and tell me which one is your favorite! Want another entry? Tell me which Christmas Card Option you like the best for my family! This giveaway will end on Friday Oct 28th at Midnight! Merry Modern Collage Christmas Card is my favorite! Number 2~ just too cute with those pic's of your kids. One of the others was cute but the top of your head was cut off. The Bright Merry Cheer card is my favorite. So many great options! Flourishing Noel is my favorite! For yours, I like Option 2 the best. I like "joyful ornaments" or "joy in pictures". I like the Regal Monogram or String of Snowflakes! For your family card I like option #4. I love the monogram cards, but it's hard to choose. I love the simplicity of the first card for your family. I was just looking at these the other day! I can't decide between the polka dot wishes or pretty patterned ornament card. For your family I love the holly jolly one! i like the merry montage! i love the rejoice one for you! I think the simplicity of "dotted ribbon" would suit us well. The "Happiest Season" is my favorite one because it has lyrics from my favorite Christmas song and because I love that it's square. I like option 1 for your family because I love emphasis on single pictures as opposed to many. I love the very berry for you family! It's chic! And for us, I like Twice as Merry! Sorry..I mean I like the 3rd option! I want to get the 10 Ten Moments of 2011 for my family. 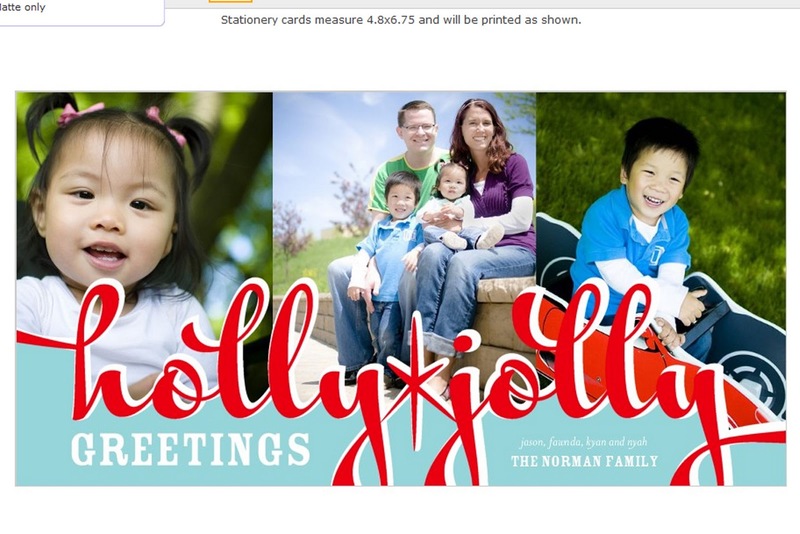 I think you should get Holly & Jolly for your family- so cute!! In love with the "Shine upon you" Christmas Card! Again, great testimony! 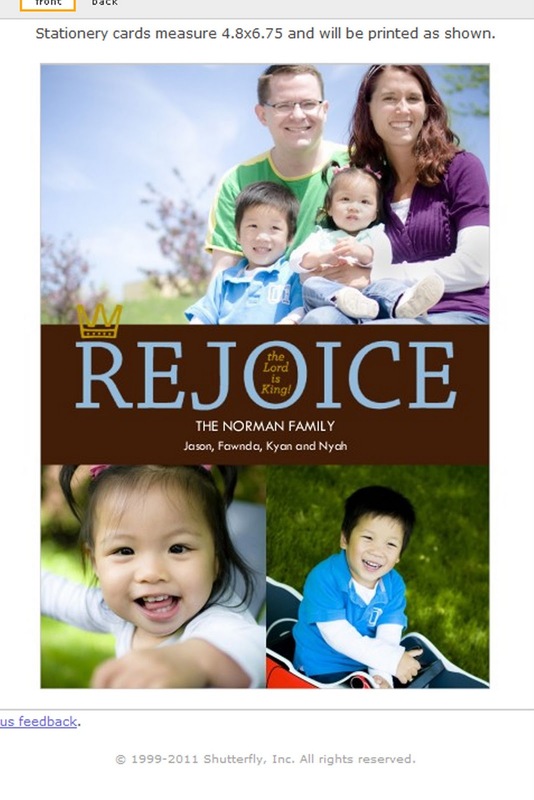 I love option 1, because I getting a card with one big picture of the family! Many Merry Moments is my fave for my fam and Option #2 is my fave for yours! The Merry and Bright colorful one is too perfect. I can imagine my little girl's photo on it like it was meant to be. Fingers crossed! Love the Holly Jolly Greetings! Would love to not have to make mine this year! I normally print pictures and then scrapbook them! I would go with the Joy to the World, or Holly Jolly for you! I love Starlight Joy and Merriest Ribbon. I can't decide! They are both too fun! And I love option 4 for your family! I think your "Joy to the World" card is beautiful. Oh my goodness! How do you choose with so many great options? I like the folded cards best and of those, I'm most drawn to Bright Striped Ornament and Sparkle Joy.